Building a new home? Remodeling? Simply not enough closet storage? We have you covered! Carefully designed with your needs in mind, our closets utilize shelves, drawers, doors and countless accessories to create the most beautiful and functional space for you. 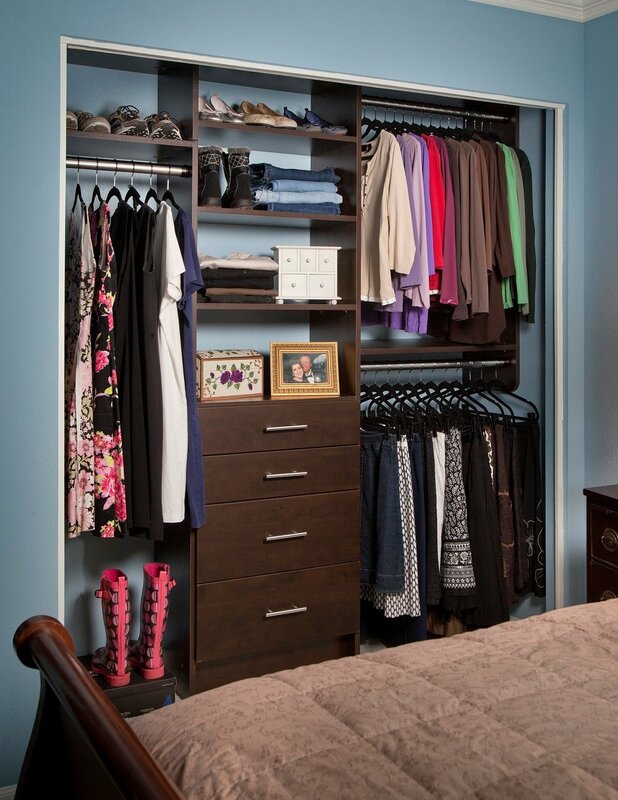 No matter your closet size, budget, or necessities, we can create a space you will love for years to come. Glass doors are the perfect way to showcase special items while keeping them safe and protected. Crystal knobs add a personalized touch of style to this master closet tower. Optional decorative base and crown moldings can add a quality flare to any closet. Paired with a specialized hardware such as crystal knobs, your closet will transform into a custom designed and well organized space you can love walking into every day. 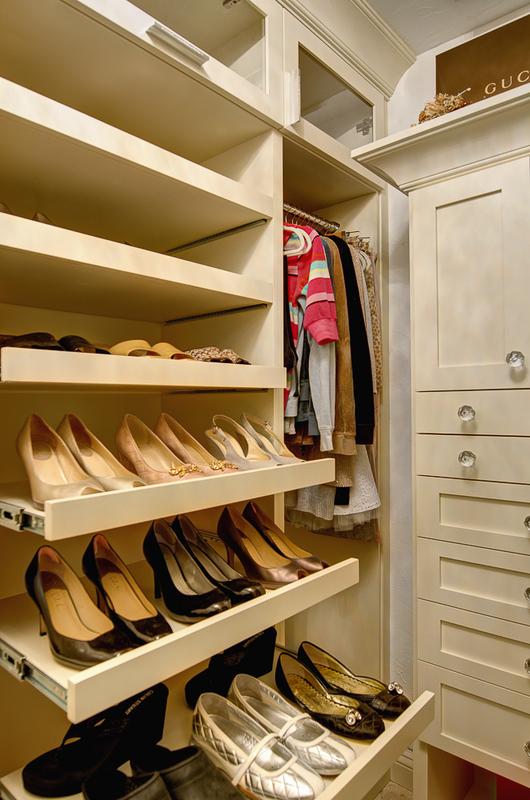 Small or large, standard or awkward, our designers can create a beautifully functional closet anywhere. Linen and hallway closets can easily be the most overlooked and neglected spaces in your home but with a little creative design, you can have the most elegant and practical small closet on the block.